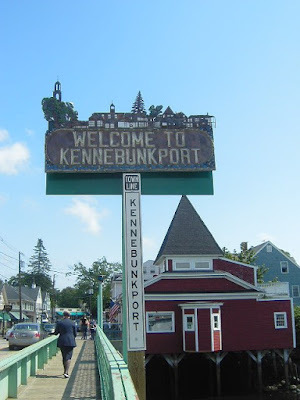 Every Christmas, my in-laws give my wife and I the wonderful gift of a weekend get away at a Bed and Breakfast in Kennebunkport, Maine. After 9 years of making this trip, it has become our home away from home for a weekend every summer. It is the only time Mrs. HDM and I get away ALONE all year. Last year's trip was a hoot as was the year before-we don't vary our routine much. 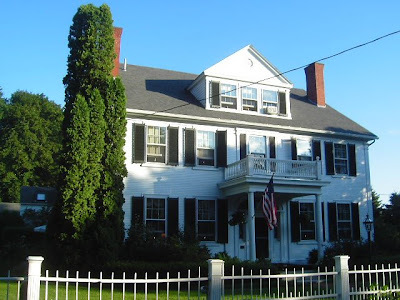 This year, like last, we stayed at the Captain Jefferds Inn, a Federal/Colonial old home in downtown Kennebunkport. The inn is gorgeous, the breakfasts are to die for, the proprietors (Erik and Sarah Lindblom) are very nice and the cookies served on the sun porch every afternoon are too yummy for words. 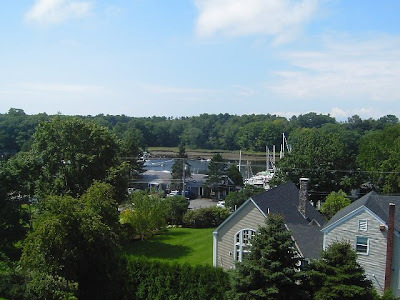 An especially nifty featue of the inn is access to the roof for views of the harbor. Folks who like viewing fall foliage would get some good shots from up here. This is a peek at the harbor from the roof. I took a "more traditional" harbor photo as well. 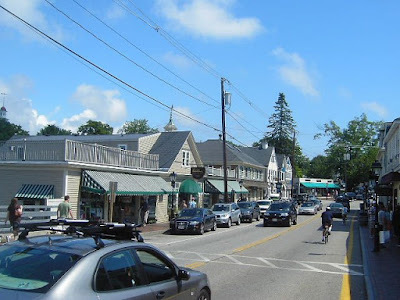 Kennebunkport is a quaint little town with lots of neat little shops. It's very walkable-I don't know why you'd drive in the town unless it was to park and walk around. 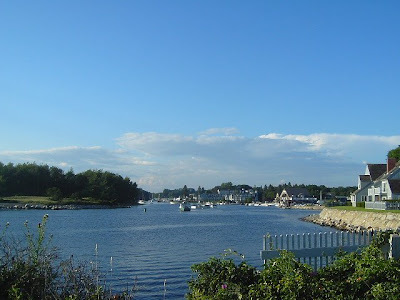 We usually spend a bunch of the day browsing the shops, admiring the harbor and strolling the beach- no swimming though: the water in Maine is TOO DAMN COLD! 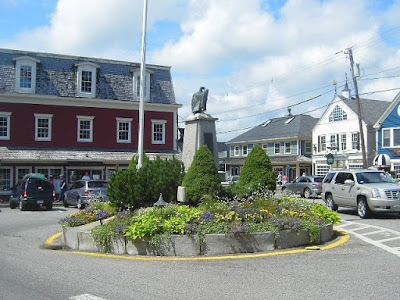 Stay tuned for more Maine tid bits in the coming days! Looks like you and your wife are having a great time. I love the NE. Quaint, I guess is the term.